How to install an SSL Certificate on Cisco ASA 5500 series? This comprehensive tutorial provides step by step instructions on how to generate a CSR code and install an SSL Certificate on Cisco ASA 5500 series. On top of that, you will also learn a few interesting facts about Cisco’s history, as well as discover the best place where you can buy affordable SSL Certificates. If you’ve already generated the CSR code elsewhere, you can skip the first part and jump straight to the installation instructions. Where to buy the best SSL Certificate for Cisco ASA 5500 series? Save your CSR code as a text file. You can use any text editor such as Notepad, for example. That’s it! Now, you can use your CSR code during the SSL order process. After your CA signs your SSL Certificate and sends the relevant files to your inbox, you can proceed with the installation. Your very first step is to prepare all your SSL Certificate files. You should receive a ZIP Archive from your CA with the primary and intermediate certificates inside. Note: If your CA requires two intermediate certificates, for best browser compatibility, you need to copy them within own corresponding .crt files and install them one at a time. Click Install. A dialog box will confirm the successful installation. Congratulations, you’ve successfully added an SSL Certificate to Cisco ASA 5500 series. 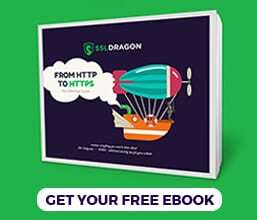 Browse the HTTPS version of your domain and check if the SSL green padlock is present. You can click on it and inspect your certificate’s details. To perform an extensive test, use these highly efficient SSL tools. They will scan your installation and provide instant reports. Cisco Systems, Inc. is an American technology conglomerate, specializing in networking hardware and software. Founded in 1984, in San Francisco by Leonard Bosack and Sandy Lemer, Cisco System is now located in San Jose, California. Cisco offers a wide range of products and services for the corporate market, small businesses, and home users. You can pick the ideal SSL Certificate for your project and budget with the help of our powerful SSL Wizard and Certificate Filter tools. 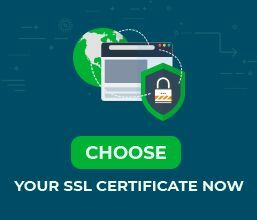 The first tool will find the best SSL Certificate for your website and budget, while the second one will sort and compare various certificates by price, validation, and features.